MA Royal College of Art , V&A project. 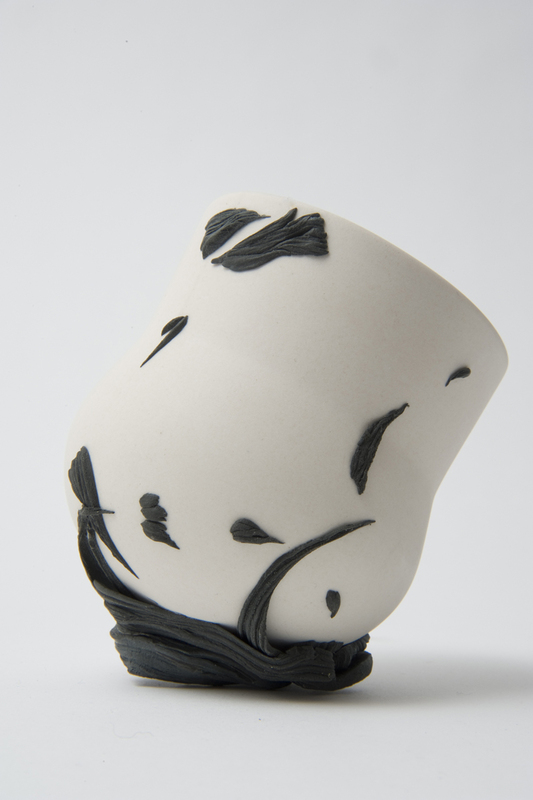 Taking inspiration from a Wedgwood cup at the V&A museum, i create this collection of black and white porcelain cups. The cups want to enchant the beauty and harmony , typical in Wedgwood’s work. The glass cups let us concentrate on the black porcelain sprigs. Sprigs are signature mark in Wedgwood history.